Event Headline - Own the day outright! Centre of attention and exclusively make the festival in your corporate colours, you logo, your message, your people! Sponsor the happy hour that steals the attention of a thousand players for an hour, with a big splash in the programme and logo on the wristbands. Full page spread in the programme that all players receive. Half page spread in the programme that all players receive. Trophies Sponsor all six trophies, present them to the winners on stage at the end of the day with your company ribbons on each trophy. Medals Sponsor the medals received by every player who took part in the day, each with in your company colours with company named on the medal. Pitch Flags The Sixteen flags become a focal point for everyone to and each game throughout the entire day. Clap Banners A thousand noise makers are a hot favourite, with the festival map, your ad and logo on each one. Water Bottles A thousand essential and loved items given to the players, in one colour and with your logo on each one. Banners along the circuit which is completed three times, inc obstacles and of course Start/Finish line. T-shirts Every runner will be given a clean t-shirt to wear after the run, this will include partner logos but could have your company front and centre. Stage All day music festival has to have a focus, the stage has to be one of them! Driveway/Car Park Banners There is only one way into the event, down a very long and through the car park, you could be the first and last thing everyone sees. Golf Buggies We have three buggies driving around all day, ferrying people and supplies all over the park. 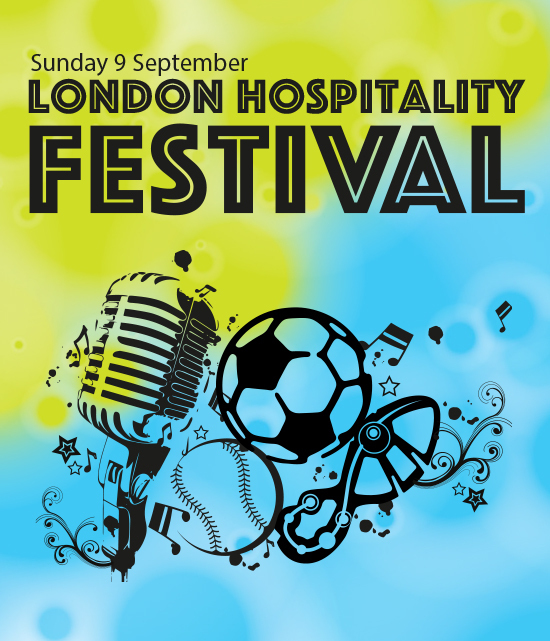 Free entry to all your staff at the Festival. Table and space in the grounds to meet festival goers. All sponsors receive advertising space on the live app!